Hamilton is a five-time Formula 1 World Champion and the record-holder for the most Pole Positions in history. The British champion is considered by many as one of the greatest drivers ever. The Englishman won his first title with McLaren-Mercedes in 2008 and has won four championships with Mercedes (2014, 2015, 2017, and 2018). Currently, he holds the second highest tally of race victories in F1, behind Michael Schumacher’s 91. 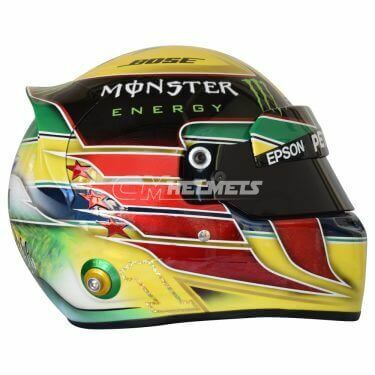 The largest catalog of Lewis Hamilton replica helmets is for sale at the best prices.